"War threatens the galaxy. Hoping to defend it, Anakin Skywalker has managed to become a Jedi Knight. Assembling many planets and fleets, former Jedi Master Dooku created a SEPARATIST ALLIANCE to leave the too bureaucratic Republic and become independent. To prevent this catastrophe, Padmé Amidala, Senator of ALDERAAN, travels to Coruscant to join her collegaue Bail Organa to vote on the critical issue of creating an Army of the Republic…"
Wow, they’re so cool! How did you make the new sunset? At first it didn’t sound ok, but now I’m working again on it, because that’s the only thing that could work. As you can see from the clip, I changed a bit the ending. But just before Anakin and Padme’s marriage, Windu asks to Obi Wan “Where’s your apprentice?”. Considering that I don’t want Anakin to be Obi Wan’s apprentice, but at the same time I need Windu to ask where Anakin is, I don’t know how to make this work. I tried adding the word “Anakin” to Windu, to make him say “Where’s Anakin?”, but it doesn’t work well. PS: I’m thinking that I can leave 3PO here. He is not built by Anakin, but we don’t actually need an introduction. He is just one of Padme’s droids, or something like that. That channel has some pretty cool videos…including some tutorials. No, I was not kidding, lol. I don’t have a problem with the Yoda fight, as long as you trim the wild jumping. At first I didn’t mind that Dooku cut. But then I realized it didn’t look good. Edit also uploaded on Google Drive. EDIT: Sorry, wrong post. It’s the other edit, this one is not finished yet. I’m not able to do it with clips, but how cool would it look? The main problem with PT’s Yoda is the eyes, IMHO. Too different from puppet Yoda. Edit finally released on MEGA. How do you make these posters? They look so cool! Ok, this is what I need. I will work on it. Is that all or there’s something else? Dooku’s lightsaber turned into purple. No Anakin and Dooku playing helicopters. As you can see, I decided to change Dooku’s lightsaber color into purple. I’m thinking about not mentioning him as a Sith lord until the very end, by placing the meeting with Palpatine as the final scene. The purple lightsaber shows that he is not really a Jedi but also not a Sith, at least until the ending. It’s almost done. I’ll have to wait my new internet line to upload the two edits, but they are coming. As a whole, I’m pretty satisfied about how it’s coming out. Updated changelist & Yoda/Dooku clip. As I said before, Yoda doesn’t use a lightsaber. Here’s my cut of the scene. 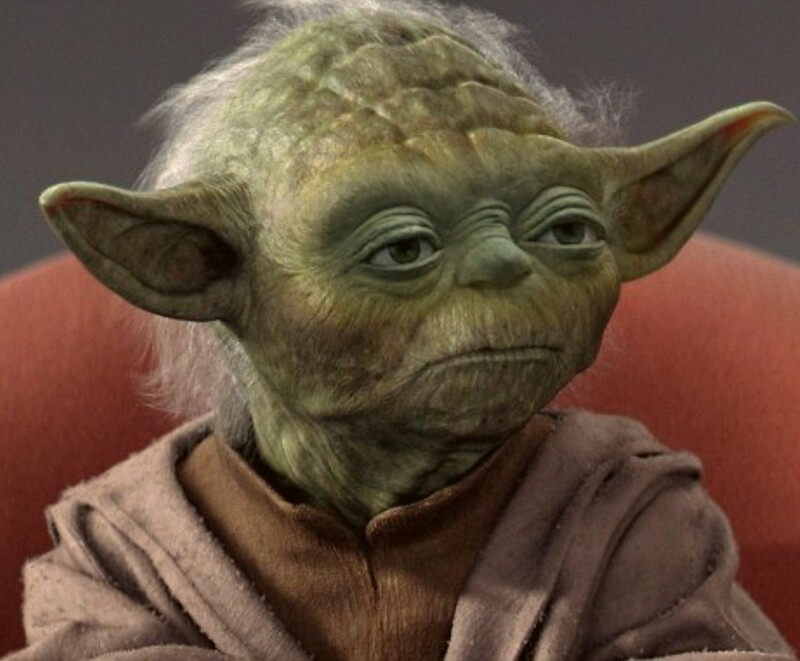 Yoda arrives when the three are still fighting, and just as he calls Dooku, the Sith uses the Force and runs. I will try to change Dooku’s lightsaber color. I’d like to keep the revelation of him being a Sith lord at the end. But I don’t know if I can, so this can be the final version. Thank you both. I will keep it then. Yeah, I had to add the senators praising Palpy to remove the voice of Jar Jar. Creation of the Clone army clip. Ok, I really need a feedback on this. You can see the color correction. I think it works quite well. This scene is placed just after the Dooku/Padmé dialogue scene (from the deleted scenes, used to replace the droid factory action sequence). Tell me what you think about the music track. Of course it’s from ROTJ. I know it can sound too joyful, but at this point the Republic and Palpatine are meant to be the good guys. And both Yoda and Windu are listening. We should not, as audience, be afraid of what’s to come. After all, even in ROTJ this music is used even if the characters know they are going into some sort of battle. I always hated how the Senate looks different from movie to movie. In the first it’s blueish, in the second yellow (as everything in this movie), in the third black (or at least pretty dark). I want it to be consistent. I already changed the color in Shadow of the past (there is a clip in its post page). Here’s the comparison for KOTP. PS: It won’t be Jar Jar the one who gives powers to Palpatine. We actually don’t see this. Windu enters, and we cut to the Senators cheering for Palpatine. Thank you so much for these feedbacks. Digitally removed C3PO from two shots. Trimmed dialogue between Anakin and Padmé (to reduce bad acting). Audio still to be perfected.